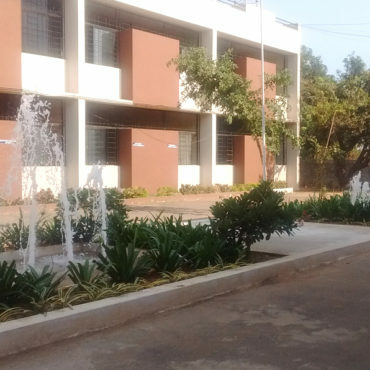 It is a modern campus with all the necessary infrastructure, spacious classrooms, air – conditioned UG & PG Computer labs, a large auditorium and an excellent canteen. The sprawling campus amidst a serene atmosphere provides an apt ambience for teaching as well as learning activities. With a growing strength of 1600 students and over 65 experienced faculty and staff members, the College has made an enviable progress within a short span of 10 years. The College can boast of understanding the needs of the students and helping them with its programmes like “Earn while you learn” which enable students to support their education. The scheme is incorporated in collaboration with reputed Computer Career organizations. Under the scheme, the students perform data processing work after college hours, in the college premises itself and earn a salary to support the cost of their education. The College also has a placement cell. Career – guidance experts are regularly invited to deliver motivating lectures to the students. The college also has tie-ups with a few software companies. On – campus placements also happen. Many of the students have got good job offers even before the completion of their course. The College vouches for Academic Excellence and equally excels in sport activities. The Physical Education Department has been contributing successful sportsmen on a regular basis. Professional coaching is offered in Cricket, volleyball and various other sports.The college is also proudly associated with NSS, YRCS, Red – Ribbon Club, SIFE, and Lions Club. Another special feature are the weekly prayer meetings organized every Monday morning in the College Auditorium, during which educative speeches of eminent personalities are screened and moral principles and values of life are taught to young students. National and International Seminars, Inter – School and Inter – Collegiate Competitions are organized on a regular basis. The College in short has brought good education with all eminent facilities and is marching towards a glorious pedestal and believes that all its efforts would escalate the institution to a much greater height in the years to come. So come, and be a part of the movement!